easy rain glazing blacktop to glitter. 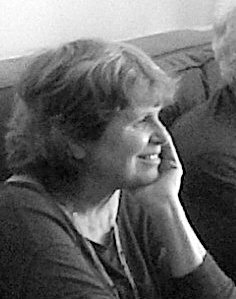 Maxine Silverman is the author of four chapbooks: Survival Song, Red Delicious (in Desire Path, inaugural volume of the Quartet Series from Toadlily Press), 52 Ways of Looking, and Transport of the Aim, a garland of poems on the lives of Emily Dickinson, Thomas Wentworth Higginson and Celia Thaxter. Winner of a Pushcart Prize, she has published poems and essays in journals (among them Nimrod, Natural Bridge, Isotope, StringPoet, Lilith, Mezzo Cammin, Mom Egg, Heliotrope, and The Westchester Review), anthologies (among them Pushcart Prize III, Voices within the Ark, Splinters & Fragments/Earth’s Daughters, WomanPoet: Midwest, Connected: What Remains as We All Change, and Poems to Live By), and Enskyment: Online Archive of American Poetry. “Life List” has been inscribed on granite at Edmands Park in Newton, MA—her most unusual form of publication so far. A native of Sedalia, MO, she now lives in the Hudson River valley with her husband and garden, and they’re the parents of two grown sons. In addition to poetry, she creates collage, bricolage and visual midrash. Her website is www.maxinegsilverman.com.